Investors moved on from President Donald Trump’s address to Congress, shifting their focus to the timing of a U.S. rate increase as the dollar strengthened, stocks advanced and bonds fell. Robust factory data from China spurred gains in metal prices. 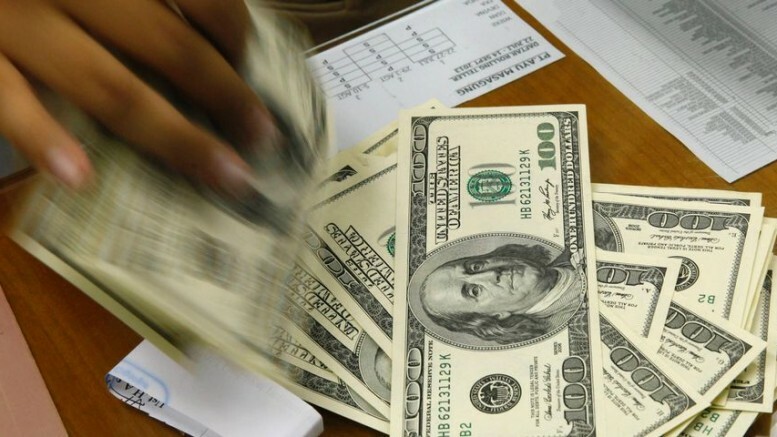 The Bloomberg Dollar Spot Index climbed the most in three weeks, the yield on 10-year Treasuries rose and European banking stocks gained after odds jumped for a Federal Reserve rate increase this month. Shares of commodity producers found support from a report indicating improving health for Chinese manufacturing which also helped prices for raw material exports. The odds of an increase in March for U.S. interest rates rose to more than 60 percent, pushing up the dollar and dragging Treasuries lower. Federal Reserve Bank of New York President William Dudley said the case for tightening has become a lot more compelling. Fed Bank of San Francisco President John Williams said he expects a rate increase to receive “serious consideration” at this month’s meeting. Trump in his speech urged Americans to abandon conflict and help him remake the fabric of the country, a moment he hopes will turn the page on his administration’s chaotic beginning and bring clarity to his policy agenda. He offered few new proposals and made no suggestions on how he would pay for his plans, including a replacement of Obamacare, a tax overhaul including cuts for the middle class, $1 trillion in infrastructure investment and a large increase in defense spending. The Bloomberg Dollar Spot Index jumped 0.4 percent as of 9:53 a.m. in London, climbing for a fourth straight day and heading for the biggest advance since Feb. 7. The yen slumped 0.7 percent to 113.52 per dollar, for a third day of losses. The euro fell 0.3 percent to $1.0545 and the British pound was little changed at $1.2383 after slipping 0.5 percent Tuesday. European stocks climbed the most since Feb. 1, adding 1 percent as all industry sectors advanced. A gauge of banks gained 2 percent, leading the advance, while basic resources shares rose 1.9 percent. Futures on the S&P 500 Index added 0.4 percent. The benchmark index finished February with its best monthly gain since March, climbing 3.7 percent. Japan’s Topix index increased 1.2 percent, propelled by a weaker yen towards the the biggest rally in more than two weeks. The Shanghai Composite Index added 0.2 percent after data on the producer price rebound, giving top officials gathering in Beijing a solid economic backdrop as they seek to rein in financial risks. Yields on 10-year Treasuries rose three basis points to 2.42 percent, climbing for a third straight day. Yields on benchmark German bonds climbed four basis points to 0.25 percent after a report showed unemployment continued to decline. Yields on French benchmarks and gilts both rose three basis points. Gold dropped for a third day, falling 0.3 percent to $1,244.66 an ounce after completing a 3.1 percent gain in February. West Texas Intermediate Crude rose 0.5 percent to $54.26. Oil ended last month 2.3 percent higher. Copper added 1.7 percent, advancing for a fourth straight session. 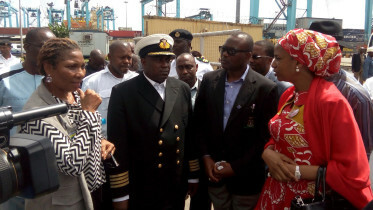 Be the first to comment on "Focus Turns to Fed as Dollar Gains, Bonds Drop"
MD: NPA to Complete Deep Seaports The Nigerian Ports Authority (NPA) has assured stakeholders of its readiness to complete deep seaport projects across the country….